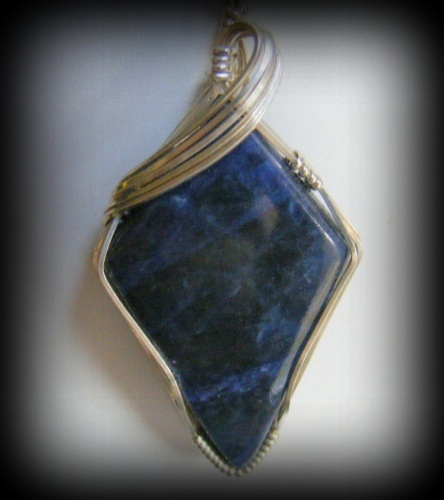 This deep navy blue Sodalite gemstone is so pretty with its cloudy light blue colors running through the dark blues. Piece is high fashion and very modern with its sculpting frame and swirl of sterling silver. Measures 2 1/4" from top of stone to bottom and 1" at its widest part. Comes with a sterling silver snake chain.